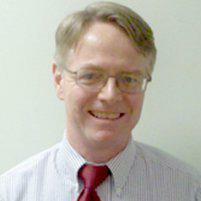 Southwestern Medical Associates Guy Whalen, M.D. Dr. Guy Whalen is a founding member and partner of Southwestern Medical Associates. He received his medical degree from the SUNY at Buffalo School of Medicine, and completed his internal medicine residency at Medical College of Pennsylvania. Dr. Whalen has been in practice for the past 27 years as a primary care physician in the Southtowns, initially at Health Care Plan, and then at Southwestern Medical Associates since its founding in 2003. In his spare time, Dr. Whalen is an avid runner and cyclist. He and his wife enjoy traveling and attending as many jazz festivals as they fit in their busy schedules. Please note that Dr. Whalen is not currently accepting new patients at this time, but give us a call so that we can schedule you with another provider. We look forward to serving you.